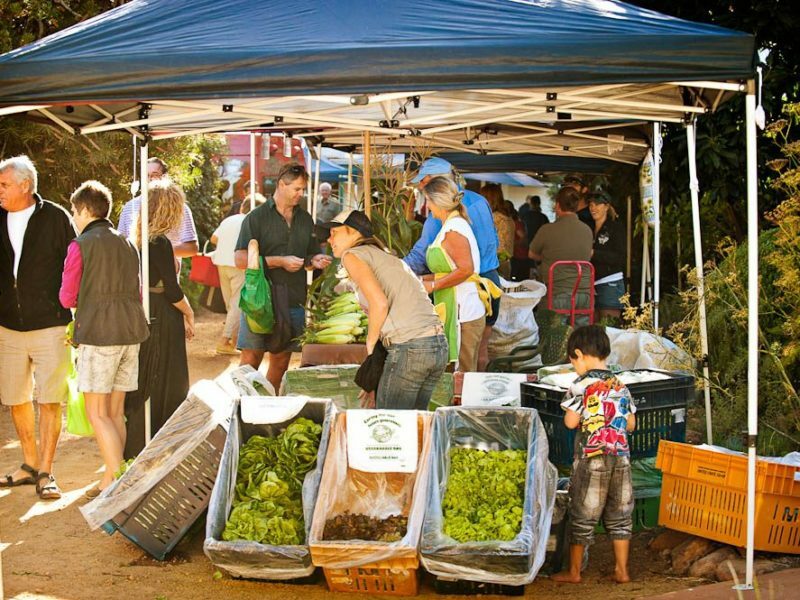 Fresh is best: Margaret River Farmers' Markets. No visit to Margaret River is complete without touring some of the local wineries. There are plenty of operators to choose from, but we recommend a tour as the easiest way to get around. 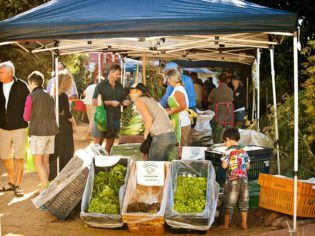 Try Harvest Tours’ full day ‘Wine Tour for Food Lovers’, Margaret River Discovery Co’s ‘Best of the Best Wine Tour’ or Margaret River Tours’ full-day ‘Dine and Wine Tour’. Not only renowned for its five-star accommodation, but its cracking cooking classes. From $245 per person, visitors of Cape Lodge can do a cooking class alongside executive chef Tony Howell, soak up the Harvest Platter Lunch with Cape Lodge Estate grown wine, take up a gourmet apron, as well as one night’s accommodation at the lodge with gourmet breakfast. Arimia Estate winery is said to have the best value menu around, where visitors can indulge in a pork shoulder terrine with white wine jelly, croutons and walnuts for just $12, or a hearty braised beef cheek with baked polenta and horseradish cream for $24. It’s so good, as one local told AT, that they didn’t want you to know about it, but we couldn’t keep it from you! Trucking good curry Keep an eye out for the ‘Spice Odysee’, a great little mobile Indian food van, popular amongst locals. It visits local Rotary parks on Wednesday and Friday nights. Tucked amongst 57-acres of private bushland, these secluded cottages come in a range of configurations sleeping one to six. Each with their share of creature comforts, guests can expect flat-screen televisions, wood-fired heaters and barbecues. From $180 a night for two adults. A five-minute stroll from the town centre, these two- and three-bedroom apartments are great for families. With sleek, self-contained interiors, guests can also make use of an array of onsite facilities such as the swimming pool, sauna, children’s playground and in-room spa service. From $185 per night for up to six guests. The four-and-a-half star Willy Bay Resort sits amid 75 acres of natural parkland, overlooking a lake and vineyards. Made up of 10 modern self-contained chalets, each with two bedrooms, a gas log fire, marble flooring, full kitchen, spa bath and flat-screen televisions, the property will expand to include another 14 chalets by the end of the year. From $224 a night.